Every Single Na'vi Line in Avatar Translated! 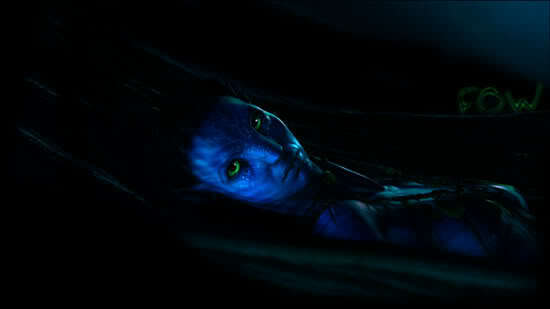 The link above is every single piece of Na'vi dialogue in the movie that is not subtitled. I know, awesome huh? One thing that I had been trying to figure out for a while was what Neytiri was whispering after the woodsprites scene. Turns out she whispered the word: "Aungia" which means in english "a sign..." This is just...awesome...lol. Enjoy this site, it's just great. I thought I knew everything about Avatar until I checked this out. Very nice find. Was finally able to learn what Mo'at was saying during the body transfer ritual. Very nice find. Thanks for posting. The music that Horner composed only used syllables from the Na'vi language, just as vocal choirs would do today. It wasn't meant to say anything, and if it did, then it wasn't much. This is such a great find, it should clear up the guesswork. Anyone know where to find text from the deleted scenes e.g. from the other version of Jake - Tsu'tey fight scene? By the way, what does the Na'vi word 'Snga'iyu' mean? The only snippet missing in that list is Jake's version of the death prayer at Tsu'teys death scene... even though I could hear, that it's introduced with the same line like Neytiri's prayer for the viperwolf: "Oeru txoa livu. Ma oeyä tsmukan..." - "Forgive me, my brother...". It's "to become part of the People"
"tokx 'ì'awn slu Na'viyä hapxì" is indeed "your body stays behind to become part of the People" in the death prayer Jake recites after his first clean kill. But that would refer to the animal being used by the tribe entirely (meat, fur, bones), not wasting a single part of it. Considering the burial ritual we saw, with Jake's voice-over of "all energy is only borrowed", the prayer just would have to be different, when a clansmate's death is concerned. 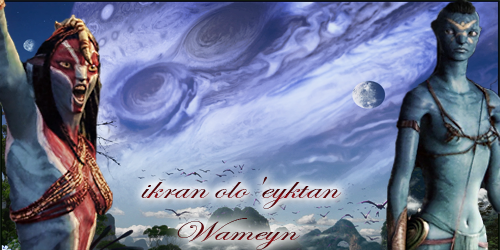 After all, the body is laid to rest in the ground to become a part of the world, literally, as it decomposes there, while the spirit floats away to become part of Eywa. Na'vi: Oeru txoa livu, ma oeyä tsmukan. Käì set ni sa'nok tirea. Ngari hu Eywa saleu tirea, tokx 'ì'awn slu Na'viyä.